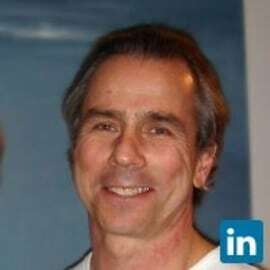 Howard A. Tullman serves as the CEO of 1871 and the General Managing Partner for G2T3V, LLC and for the Chicago High Tech Investors, LLC; he is a Director of SnapSheet, PackBack Books, and VEHCON. He is a Board Advisor to Hightower Advisors, Built in Chicago and many other start-ups in Chicago. He was previously a Trustee of WTTW in Chicago and the New York Academy of Art in New York. He serves as the Chairman of the Endowment Committee of Anshe Emet Synagogue in Chicago, and an Adjunct Professor at Northwestern’s Kellogg Graduate School of Management in Evanston and at the Northwestern University School of Law in Chicago. Mr.Tullman most recently served as Chairman and CEO of Tribeca Flashpoint Media Arts Academy (www.tfa.edu). He continues to serve on Mayor Emanuel's ChicagoNEXT and Cultural Advisory Councils; on Governor Rauner's Arts and Innovation Councils; and on President Preckwinkle's New Media Council and as a member of NACIE. Mr. Tullman was the Chairman and CEO of Tunes.com, Inc. (formerly JAMTV Corporation), which operated the premier music mega-sites on the Internet, in partnerships with the publishers of Rolling Stone, the Source and DownBeat Jazz. From 1993 through 1997, Mr. Tullman was the President and Chief Executive Officer of Imagination Pilots, Inc. (IP), a multimedia software developer specializing in CD-ROM games and entertainment products for the PC and Macintosh. Imagination Pilots was founded by Mr. Tullman in 1993 and completed seven major projects. Mr. Tullman founded CCC Information Services, the largest subsidiary of FPSI, in 1980. CCC was the fastest growing company in Illinois from 1981 through 1985 as well as one of the top 100 fastest growing companies in the United States. CCC was number 31 on the 1986 Inc. Magazine 100 List and number 54 on the 1987 Inc. Magazine 100 List as well as first in profitability among all of the listed companies in both years.